Students in Kazakhstan didn’t have to wait until 2020 for the next Paralympic Games. They created their own competition. 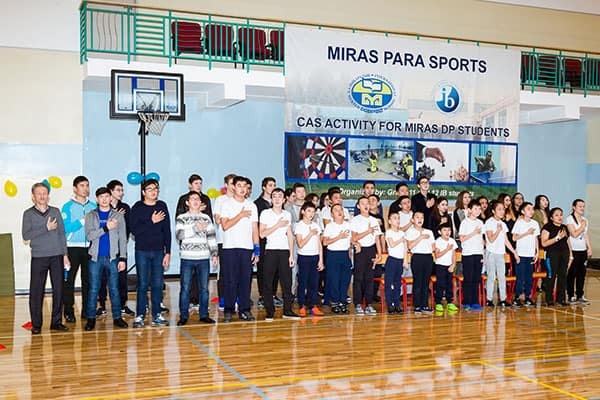 IB Diploma Programme (DP) students at Miras International School of Almaty organized the ‘Miras Para sports Competition’ for children with mild disabilities at a neighboring orphanage. The event—now in its fifth year—started with an opening ceremony. Then, 28 para-athletes took part in various table tennis, darts, badminton and chess competitions before one team was crowned the winner. The athletes received commendation in an ‘Awarding Ceremony’, which included entertaining performances by Miras students. 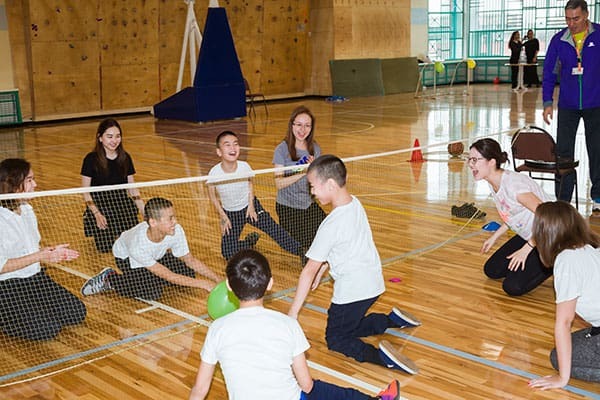 As part of the community, activity, service (CAS) project, DP students held different charity events, and raised 30,000 tenge (approximately US$100) to fund the Para sports competition, and generate awareness and understanding. Igor Guralnik, DP Coordinator says: “The Para sports was a fantastic CAS opportunity and a good learning platform for our DP students. To organize and conduct an event like this, one not only needs to understand sports but also the values of real-life challenges and inspiration. This event also encouraged students to develop many of the IB learner profile attributes in achieving their CAS learning outcomes, as well as developing empathy and compassion for the para-athletes”. Miras International School has an established relationship with para-athletes from the orphanage. Every year, the athletes attend and take part in sporting events for the school’s Nauryz festival, a spring event celebrated in April across the country. The athletes also join Miras’ annual darts tournament. Students plan to utilize their technology knowledge to organize and implement future Para sports events. For example, they will use motion analysis software to help the para-athletes improve their performance in darts.